Discussion in 'False Positives' started by rickyoh, Apr 11, 2014.
also the link to the deal indicated by the arrow does not open the deal page. I used the helper and disabled element hiding on the site. thanks for that. it works but the social widgets are back will need a scalpel for this case. You mean fb, twitter and atom feed at the top? They were alway allowed you can remove them with the inspector or..
thanks again for sticking it out. 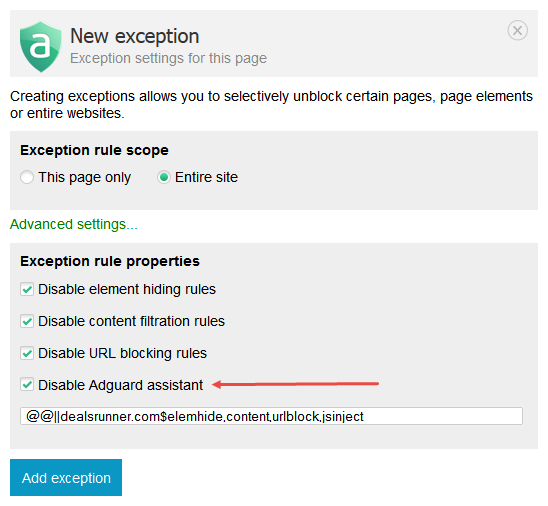 don't know if you know about this but there is a blog post on Adguards main site on creating filters http://blog.adguard.com/en/instructions/how-to-create-your-own-ad-filters.html hope that helps. There are some at the bottom too, following Rickoh's way its like this rather than the code i posted above.